So, another one of my hobbies for a long time has been a web site called Stack Exchange, and I need to put in a plug for a future site dedicated to my new favorite hobby, Amateur Radio. First of all, Stack Exchange is a website devoted to asking questions around a particular topic, and answering them. By asking and answering questions, you win reputation points, privileges on the site, and cool badges. There is a ton of Stack Exchange sites, I will refer you to this complete list for them all, but there are some which Hams in particular will be interested in. So, as mentioned in my previous blog entry, I have a magnetic mount antenna. I've been trying to figure out how to best use it. I thought I'd share what I figured out. So, I've been asked a few times, what's the point of Amateur Radio? Why does the FCC (And virtually every other country) give a portion of their valuable frequency for use with Amateur Radio? There's a few things which I've been able to decode so far, that I thought I would share. 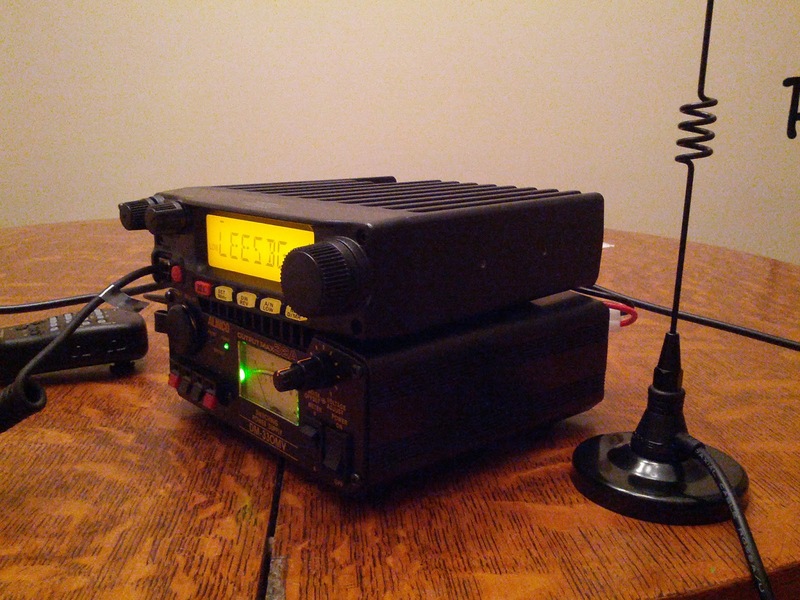 Amateur Radio has the opportunity to take me places I've never been before. Today, I managed to visit one such of these places. That place was my attic. I should state before I even begin that this is still very much a work in progress. I've been wanting to put antennas up in my attic for a while, with the goal of improving my range, plus it would seem to be a convenient place to place an HF antenna. I poked my head up there for the first time to see what I had to work with, and I took a few pictures to show to everyone. It took me a while (Two days), but I was finally able to actually talk to someone though my radio, using a local repeater. Not just a short conversation, but actually a fair bit lengthy. I'm starting to see how propagation matters. When I tried to get on the nets, I needed 30W of power to communicate. Today, I was able to communicate with only 10W, just fine, using essentially the same set up. My name is Ben, call sign KD7UIY. I have had my amateur radio license for 10 years, at the technician level, but haven't used it much for the last 6 years. I got it because I was involved with the building of a student satellite at the University of Arizona. The only terrestrial contacts that I made during that time were with people involved with the program, although I did make a fair number of satellite contacts, via which satellites escapes me now.